WAYNESVILLE, N.C., September 20, 2018 – Former New Jersey paramedic Steven Kavalkovich nearly died from a heroin overdose before finding recovery from drug addiction and mental illness. This journey led to his current role as host of Mental Health News Radio Network podcast Rescue the Rescuer. 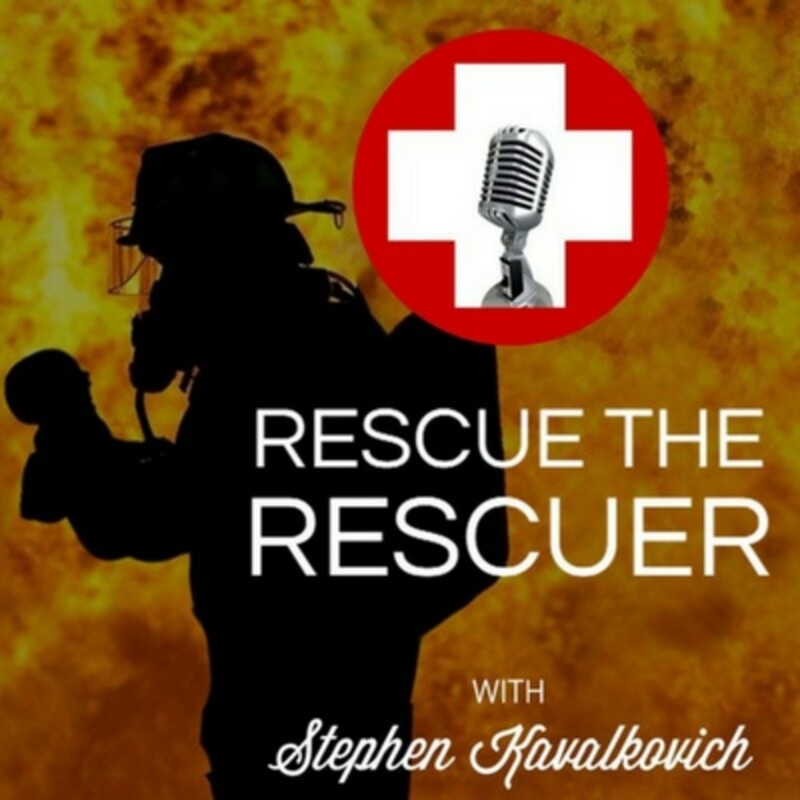 Rescue the Rescuer sheds light on the mental and emotional stresses faced by police officers, firefighters, soldiers, EMS providers and other first responders – stresses which can lead to mental illnesses such as PTSD and addiction problems. Rescue the Rescuer aims to reduce shame and stigma surrounding mental illness and addiction among first responders and find solutions to these problems through open dialogue and advocacy. I knew first responders needed a voice to talk about this and podcasting made the most sense in 2017. Rescue the Rescuer airs weekly. Recent episode topics include Gangbanging, Tattoos and Paying it Forward, Join the paramedic who saved me from a heroin overdose and PTSD does not define me. In addition to hosting Rescue the Rescuer, Steven Kavalkovich will be speaking at the Recovered Purpose event in Connecticut on Oct. 14. He is Mental Health News Radio Network’s director of network development. Rescue the Rescuers is sponsored by Stepstone Connect and Rescued Consulting LLC. It is one of 35 podcasts hosted by Mental Health News Radio Network and shares the network’s mission to combat stigma surrounding mental health through education, advocacy and dialogue.